How can I lead others to a place I've never been? As a father, husband, leader in ministry, and professional consultant, this is a question I've had to ask myself many times throughout my journey. Whether you're a seasoned leader or parent or a young person just getting started on this journey of faith, I want to challenge you to go deeper. These resources will encourage you not only to pursue more wholeness for yourself, but also to see the bigger picture of how your relationships with others and your understanding of God can release you to know and fulfill your purpose in these last days. Pastor Jerry Smith needs a vacation. Exhausted after finishing up an ambitious building program, he plans a family trip and personal sabbatical. However, he struggles to enjoy himself as his anger and control issues affect his relationships with his family, his ministry, and God. But God has a different plan for Jerry—a plan to put an ordinary husband, father, and pastor on a supernatural journey of repentance, healing, and awakening. It’s a step-by-step process of prayer and obedience that leads to a revival more profound than anything Jerry could have imagined. Available from amazon.com ($2.99 Kindle, $12 paperback). ebook available for free on iBooks, barnesandnoble.com, and kobo.com. 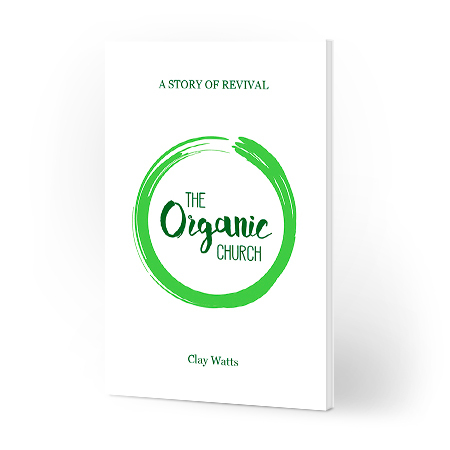 Designed as a study companion and discussion guide for The Organic Church: A Story of Revival, this downloadable PDF provides summaries to key events and principles in each chapter, along with supporting scriptures, commentary, and suggestions for practical application in everyday life. Healthy relationships are the key to releasing productivity and creativity in the marketplace. But we can only be truly effective in our relationships when we, ourselves, are emotionally healthy. In this business fantasy, discover a world of relationships through the eyes of three influential people who are profoundly impacted by the Owner of "the tower" as he commissions its building, empowers its occupants, and impacts the surrounding community. Imagine how the world could be changed one tower, one community, and one person at a time. Available from amazon.com ($2.99 Kindle, $10 paperback). ebook available for free on iBooks, barnesandnoble.com, and kobo.com. Written for both beginners and experienced Bible students, Preparing for End Times: A Guide to Biblical Prophecy will expose you to most of the Bible’s end times passages along with brief commentary. As you learn sound principles of interpreting and applying these prophetic passages and develop an appreciation for many of the issues being hotly debated in Christian circles, you will understand how you can prepare personally for what is coming.